While the Gothic exterior of St. Giles's was many times altered in subsequent centuries, the interior of the church was restyled in Baroque after 1733. 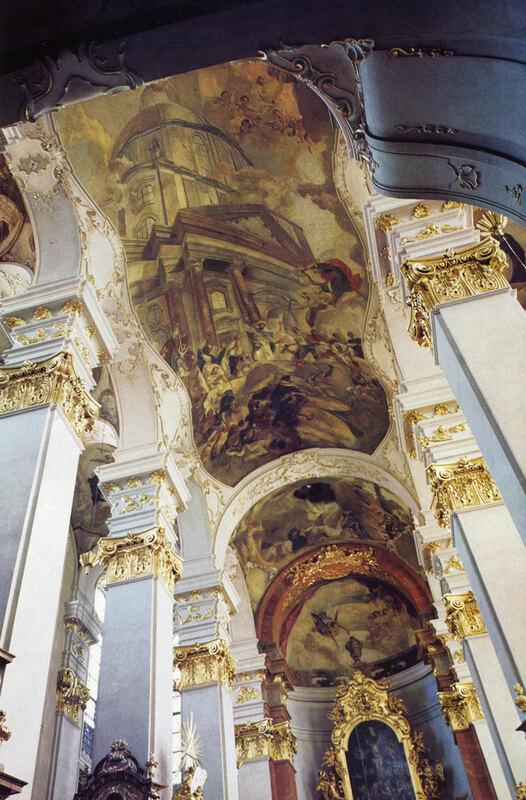 At that time V. V. Reiner decorated the vaulting with frescos. 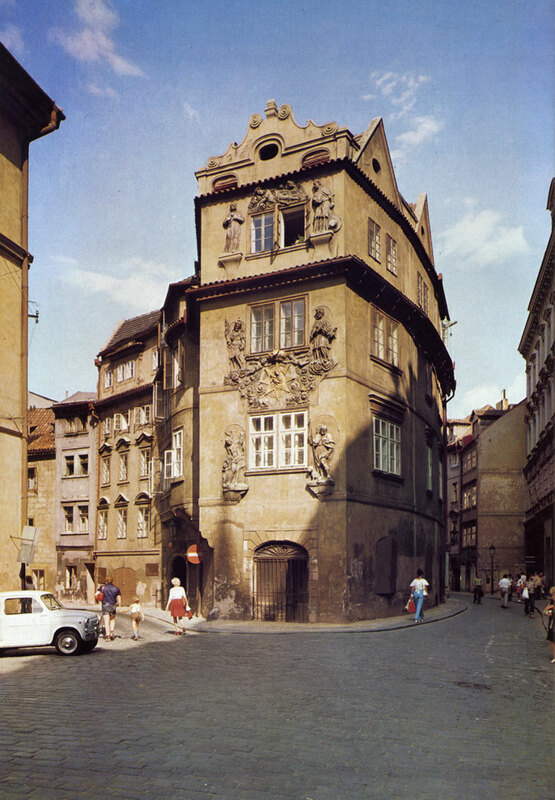 During town clearance operations in 1909 a ground-floor hall was discovered in the Romanesque house Number 16 in the Old Town of Prague (Stare Mesto), called the Angels' College. The house, built around 1180, shows by its intricate interior layout how luxurious Romanesque buildings in the Prague settle­ment of the time must have been. 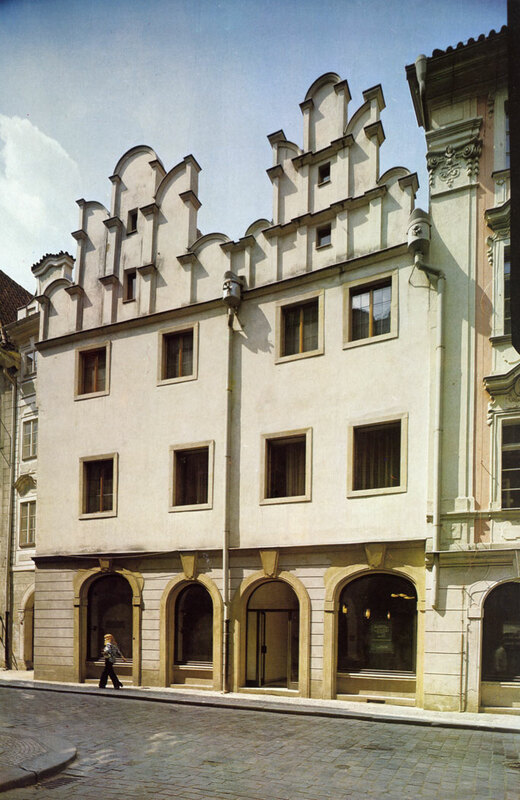 The masonic lodge of Peter Parler made, in 1377, an ephigy of King Pfemysl Otakar I (1197 - 1230), during whose reign the settlement of Prague moved towards town status. 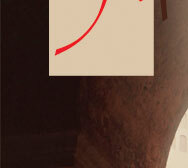 The work on the ephigy and the tomb is ascribed to Peter Parler personally. 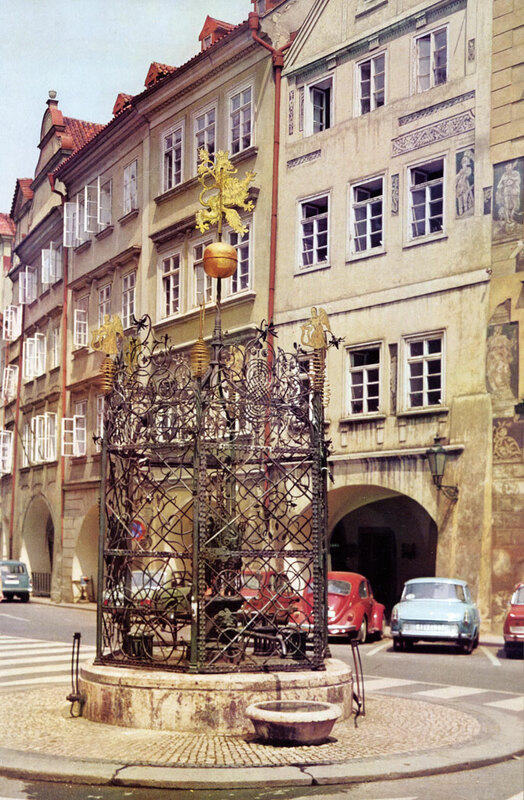 The picturesque house At the Golden Well (U zlate studne) at the corner of Seminafska and Karlova streets kept its compact character given by the dimensions of Gothic building lots even after Re­naissance alterations. The rich stucco decorations were made in 1701. The originally Romanesque house, Number 229, in Husova Street stood in an area that was densely built up with Romanesque stone houses from the middle of the 12th and the early 13th century on. Later it was rebuilt in Gothic style and was given an impressive, Renaissance gable in the second half of the 16th century. 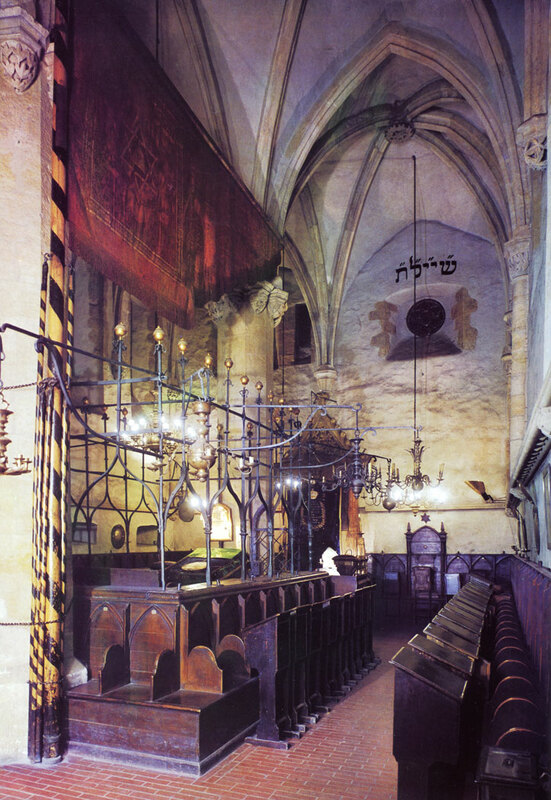 The Old New Synagogue (Staronova synagoga) is the oldest existing building of its kind in Central Europe. 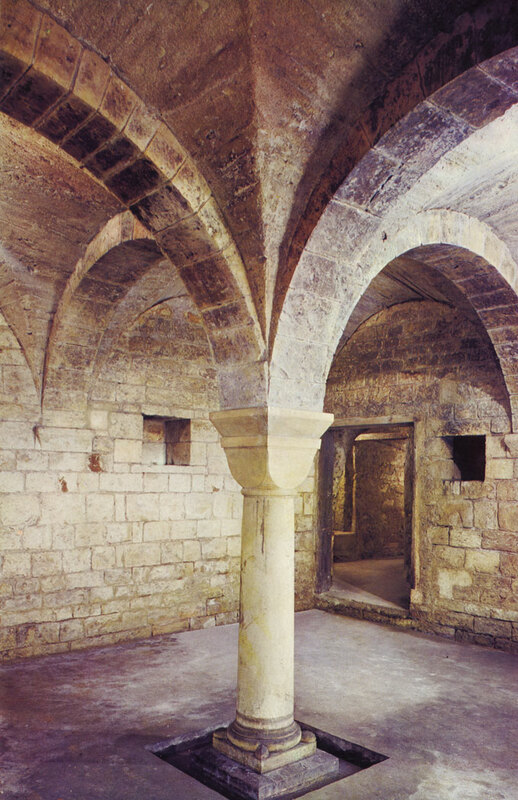 It was built around the year 1270 and to this day its interior has retained the character of an original Early Gothic building. 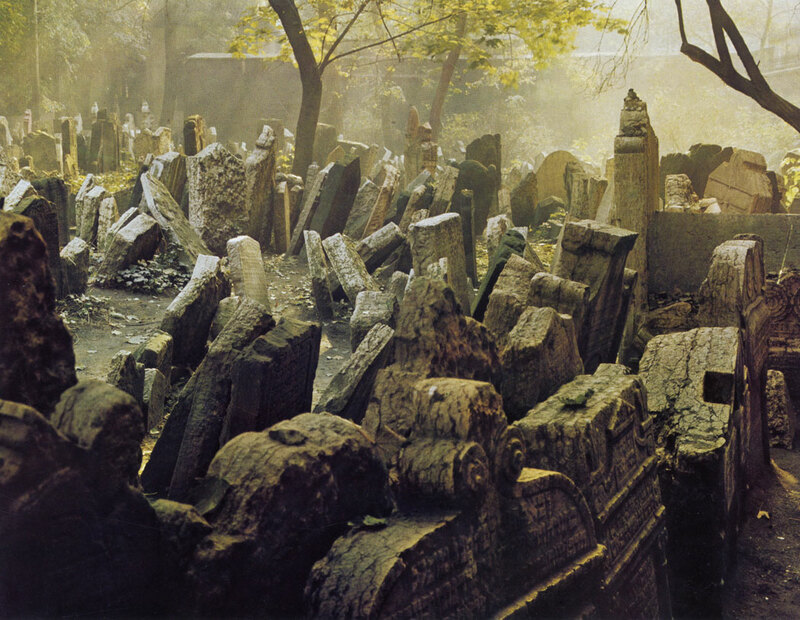 The Old Jewish Cemetery, founded in the first half of the 15th century, was, in the course of time, enlarged despite the immensely crowded space in the Prague Jewish ghetto. No interment has taken place here since 1787. Among the 20,000 tombstones are several older ones which were transferred from the original Jewish cemetery in the area of today'0s Vladislavova Street. Building construction on the Clementinum (Klementinum), showing the immense influence and wealth of the Jesuit Order at the time after the Battle of the White Mountain, was roughly finished by the middle of the 17th century, but work continued into the following decades. 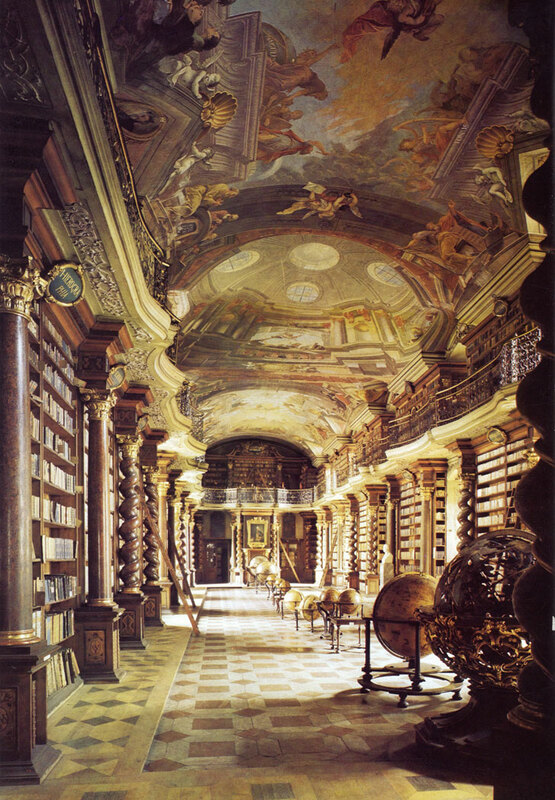 The building of the Baroque library hall falls into the period of activity of archi­tect F, M. Kanka in the twenties of the 18th century, and the ceiling is the work of Jan Hiebl (1727). The Small Square (Male namesti), to this day ar­chaically called the 'Little Ring', used to be a busy market place from the 13th century on and has retained the importance of business centre of the Old Town to this day. The fountain in the centre, which underlines the old-time character of the Square, is embellished with a Renaissance wroughtiron well­head. 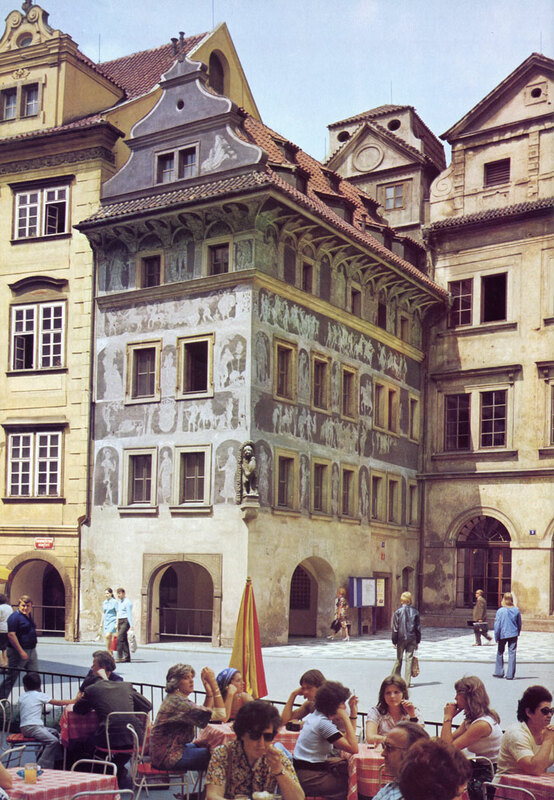 The Gothic house At the Minute at the end of the Old Town Square (Staromestske namesti) was rebuilt in Renaissance style after 1600 and richly adorned with sgraffito. 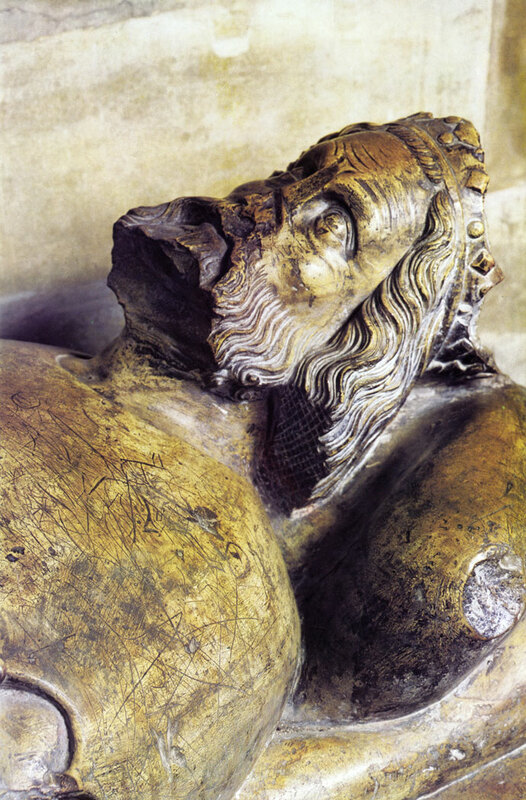 At that time it belonged to the aristo­cratic family of the Pfehofovskys of Kvasejovice. Интернет магазин натуральной косметики по ценам от производителя.